Logline: Follows the career trajectory of a pop star and her immediate entourage from her discovery into troubled adulthood. At the end of the last millennium a disturbed school student drives along a lonely road, parks his van, and walks through the cold night to his final destination. Young Celeste (Raffey Cassidy) and her older sister Ellie (Stacy Martin) are in the classroom where the student gunman arrives, glass-eyed and determined. He guns down the teacher. Celeste tries to reason with him. She is shot in the neck, but survives. In the aftermath Celeste and her sister write and perform a song that becomes a surprise national anthem of hope and solidarity. 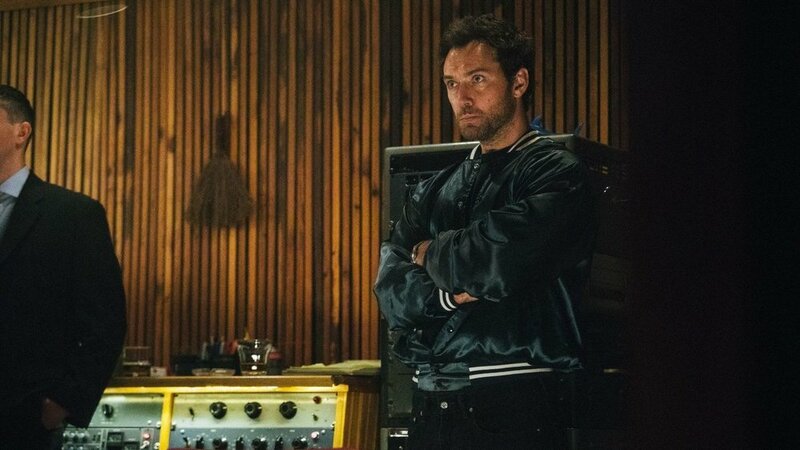 Celeste is taken under the wing of an opportunistic, but savvy manager (Jude Law), who teams her with a hot shot producer, and before you can say YOLO FOMO Celeste is making her first record and on her way to international fame, with all its trials and tribulations, joys and trappings. Jump to the present day, and Celeste (Natalie Portman) is under the thumb of pop pressure, with a tour at her doorstep, a petulant teenage daughter, Albertine (Cassidy, again), her faithful manager easing her through the gauntlet as terrorist activity hits the media, using her imagery as their disguise. For his second feature actor-turned-director Corbet delivers an enigmatic, curious fictional biopic that works like an adaptation of a non-existent novel. Based on a story written by Corbet and collaborator Mona Fastvold (who co-wrote his debut feature) it is a compelling, intriguing tale of struggle and perseverance, of human frailty, and familial bonds. The relationships Celeste has with her sister and her daughter are wonderfully nuanced. Also important, though peripheral, is Celeste’s relationship with her manager, which is expressed perfectly in scenes when Celeste is teenager and adult. The score is by UK veteran Scott Walker, himself a pop star from the 60s, whilst the songs that are Celeste’s are written by Australian legend Sia. It’s interesting to note that Portman, Law, and Sia also served as executive producers, no doubt to ensure Corbet would be able to hold on to his vision, and it’s a bold and distinct one. The core cast are exceptional, Portman delivering (another) career performance, while Cassidy holds her own. Law is always wonderful when he’s given character work. He’s an actor with leading man looks and presence, but he’s much stronger when given key support work, or plays a less glamorous role. Martin, as the sister in the shadow, is solid, as is Jennifer Ehle in the support role of publicist, while Christopher Abbott pops up in one scene as a befuddled music journalist. Vox Lux has cult favourite written all over it, from its intense melodrama, ramblings, and wayward angst, through to its extended concert performance at movie’s end, its lingered in my head for the past couple of weeks, sure to be one of my faves for the year. An inspiring, uplifting movie that cleverly transcends the melancholy and tragedy its tied to. I look forward to more stories and style from Corbet.